Download HP Pavilion 15-b038ca Sleekbook Windows 8, Windows 8.1 Drivers, Utilities and Update. This package contains the driver that enables the IDT High-Definition (HD) Audio in supported notebook models that are running a supported operating system. 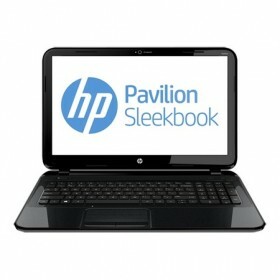 This package provides the HP Wireless Button driver for supported notebook models running a supported operating system. This package contains the driver installation package for the Ralink 2012 wireless LAN Controllers in the supported notebook models running a supported operating system. This package contains the driver installation package for the Qualcomm Atheros Bluetooth in the supported notebook models running a supported operating system. This package provides the driver to support the Intel Wireless LAN adapter in supported notebook models that are running a supported operating system. This package contains the driver installation package for the Qualcomm Atheros AR9000 Series wireless LAN Controller in the supported notebook models running a supported operating system. This package contains drivers for the Intel Wireless LAN adapters in supported notebook models that are running a supported operating system. This package contains the driver installation package for the Ralink Bluetooth in the supported notebook running supported operating systems.